The United State Supreme Court has held that a debtor cannot claim the auto ownership expense on the Bankruptcy Code’s means test unless the debtor has a payment on the vehicle. Ransom v. FIA Card Services, No. 09-907 (January 11, 2011). Prior to the Supreme Court’s decision, three Circuit Courts of Appeal had allowed the expense for debtors with no car payments, and one Circuit Court of Appeal–the 9th Circuit–had denied it. Ransom was an appeal of the 9th Circuit’s denial of the automobile ownership expense. As the law in 19th century England supposed that a wife acts under a husband’s direction at all times (ha! ), so too BAPCPA supposes all sorts of equally nonsensical things. Like 19th century English law, BAPCPA ignores reality and experience. And the result in this case is yet another manifestation of this problem. The means test serves two functions: (1) it helps the court determine whether debtors with primarily consumer debts qualify for a Chapter 7 discharge or whether instead they should file Chapter 13 bankruptcy and (2) it helps the court determine how much debtors should pay into their Chapter 13 plans. The means test has categories of expenses for various things and determines how much those expenses should be depending on the number of people deemed to be household members of the debtors. One of those expense categories is the automobile expense, which consists of two components: (1) the ownership expense and (2) the operating expense. The issue in Ransom was whether the debtor could take the ownership expense for his Toyota Camry even though he had no payment on the car. Not so much. The decision is certainly understandable given the lack of clarity on the mean test form. It’s anyone’s guess what the statute means much of the time, and the Supreme Court will likely spend the next decade or so sorting out many remaining statutory ambiguities. (My personal recommendation is that the Court use tea leaves and tarot cards, which will save the Court time and have the same likelihood of success in discerning the “Congressional intent” of this poorly drafted statute. ) Unfortunately, this decision actually leads to more BAPCPA weirdness. And with this statute, there’s already enough weirdness to go around. Here’s why. The means test now gives debtors $496 per vehicle as an “ownership” cost. The way the test works is that debtors are given the higher of the $496 or their actual payment over a 60-month Chapter 13 plan. For example, let’s say the debtor would spend $35.86 per month in car payments over the next 60 months. The means test gives him $496 per month in ownership expense even though the payment is only $35.86 per month over five years. If the debtor had a phat car with a fat payment, and his payments would be $575 over the 60-month period, he’d get $575 for the ownership expense. (In BAPCPA world, it pays to have a nice ride!) The issue in Ransom was whether the debtor would get the ownership expense when his payment would be ZERO. The Court said no and was bothered by the fact that debtors with no car payment could, nevertheless, take the auto expense (which at the time the debtor filed his case was $471). The Court largely based its holding on the fact that there could be no “applicable” expense if the debtor had no car payment and on the fact that the IRS guidelines–the means test is based on the IRS guidelines–do not allow an automobile expense without a payment. By contrast, Justice Scalia dissented arguing that the IRS guidelines were not wholly incorporated into the means test and that other sections of the means test specifically required certain expenses to exist in order to take them but that the automobile ownership expense did not. “Applicable” to him simply meant selecting on the form whether the debtor had one car, two cars, or no cars, among other applicable selections. 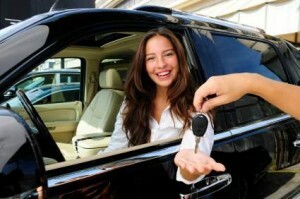 It’s now in the debtor’s best interest to enter bankruptcy with a car payment. BAPCPA encourages this and penalizes more frugal debtors with no car payments. If debtors need to do home repairs, obtain funds to catch up on mortgage payments, or finance medical procedures, it now makes sense for them to use their cars as collateral. Those with older cars should consider obtaining newer–note, I did not say “new”–cars. While this might seem odd, in appropriate circumstances, buying a car before filing makes good sense. First, if the debtor is filing Chapter 7, it might be more difficult to obtain an auto loan after filing bankruptcy. Second, debtors filing Chapter 13 need to be prepared for a making it through a plan that may last up to five years. For those debtors, it makes sense to obtain a newer car prior to filing their Chapter 13. Most folks use their cars to get to work, and if you can’t work, you certainly can’t make your Chapter 13 plan payments. For most Chapter 13 debtors, cars are necessary for “the effective reorganization of the debtor” and are a reasonable expense. However, each case is unique. Don’t make any sudden moves prior to filing bankruptcy without consulting with a bankruptcy lawyer in your area. This is yet another situation in which “pigs get fed and hogs get slaughtered.” As always, watch what you do on the eve of filing bankruptcy. No surprise, then, that a kind of cottage industry has developed in the lower courts since 2005 which you might call Saving Congress from Itself–more precisely, trying to read some sense into a statute which often doesn’t make any sense. But this endeavor has not been purely technical. Rather, there seems to have developed a sense among the lower courts that what Congress intended to do was jam it to the debtor good and hard, and that if Congress didn’t get it right the first time, then we must help them. Bankruptcy lawyers have fashioned a new canon of statutory interpretation: if the statute seems to favor the creditor, apply the statute; if it seems to favor the debtor, assume it’s a mistake and favor the creditor anyway. Heads the creditor wins, tails the debtor loses. How Much Will My Chapter 13 Payments Be? This is an important decision. The question for me is just how many other applications people can make with this decision. In other words, just how broad this decision really is. Will it be applied outside the paid-off-car deduction/question?